For a start, don’t tie your dead granny to the roof racks like the Griswald family did in the classic comedy movie National Lampoon’s Vacation. It will not only ruin your car’s handling and fuel economy, but probably your holiday as well. Roof racks are good for things you don’t want inside your car such as bottles of alcohol, firewood, large Christmas trees, spare fuel and smelly items like dead relatives. But tying your dead grandmother to the roof would create too much wind drag which would reduce fuel economy and cause de-stabilization at high speeds. Even filling up the boot with heavy suitcases can affect the handling of your car. 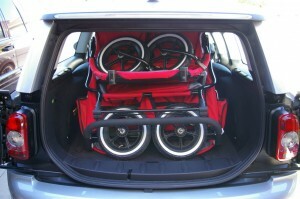 Some vehicles have self-leveling rear suspension which takes in account the weight in the cargo area. If you don’t have that, then you should consider getting stiffer shock absorbers on the rear if you are going to carry very heavy items in the boot. Even if you don’t fill your boot with your gym weights, the extra kilograms in the boot will still have an effect on the tyres. Consult your owner’s manual which will indicate the correct tyre pressures for carrying a load. 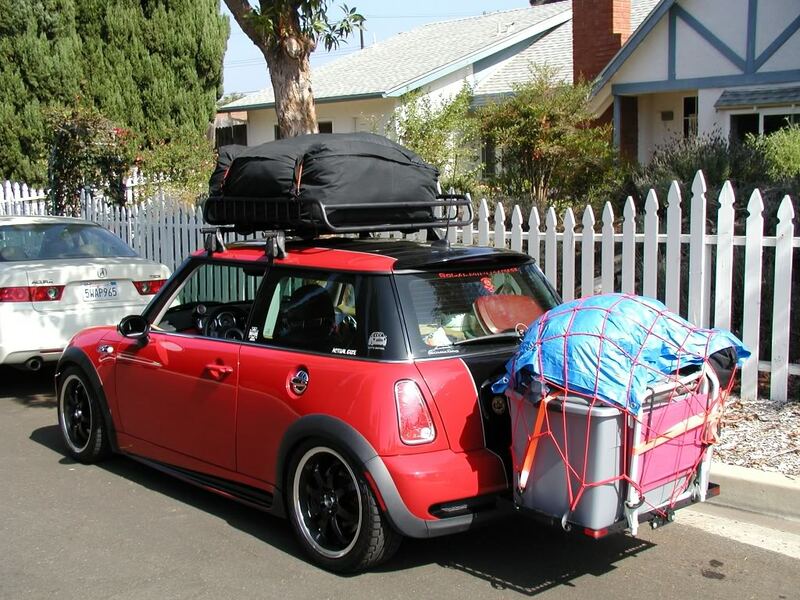 As much as possible, try to distribute the load more evenly throughout the car, putting the heavier items toward the front of the luggage compartment or roof racks rather than the rear. But don’t be tempted to put heavy items in the passenger compartment as these can act as dangerous projectiles in a crash. These items belong in a trailer. 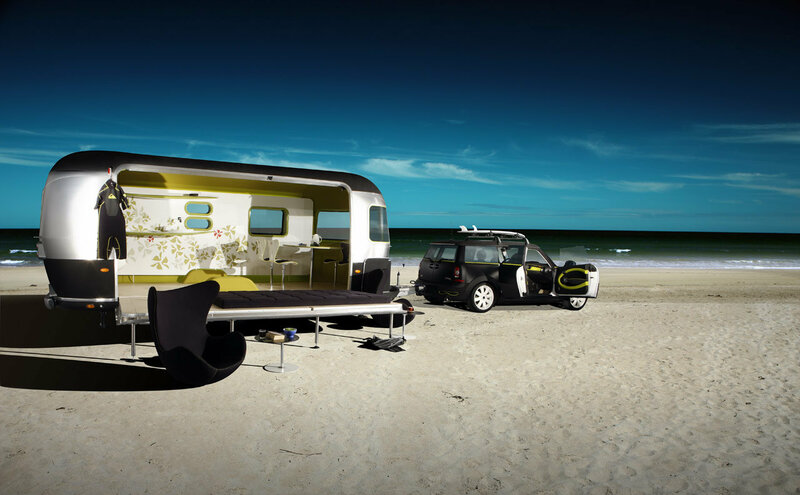 However, towing a trailer will have an even bigger impact on your car’s performance and handling and let’s face it how long do you really want to stay with the relatives? Travel light, that will nesessitate the need for you to get home that much sooner. 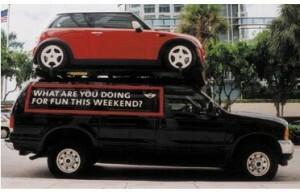 Firstly, check the load rating of your vehicle and your roof rack and never exceed them. 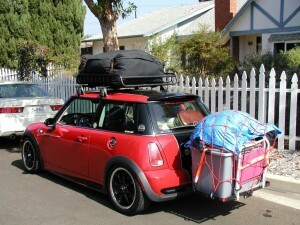 Roof luggage also raises the centre of gravity making your car about as stable as an upside down tenpin. Roof luggage acts like a weight at the end of a pendulum, making the swaying motion even more pronounced. This is emphasized in off-road driving where some vehicles already sway and lurch dangerously over uneven surfaces. There are some simple guidelines to packing the boot or roof racks of your car, Ute or SUV that will ensure you travel safely and conveniently this Holiday. Pack light. Don’t take everything on holidays. After all, you are most likely visiting relatives and you want an excuse to leave. Roof racks are an ideal place to store alcohol, but keep this to a minimum as you are bound to be questioned as to why you keep visiting your car in the in-laws driveway. Secure the load tightly. Load shift could cause your vehicle to lurch out of control. Spread the load, especially on roof racks. Too far forward and it will dive under brakes, too far back and it makes the steering light and vague. Loading and unloading can be a real task. Keep important things that you may need to access at the back of your boot. 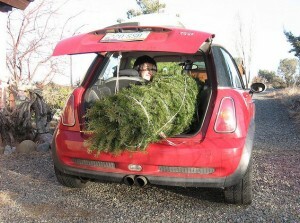 Use roof racks to store things you don’t need to access often; the fruit cakes, date bread and ugly Christmas sweaters your in-laws gave you last year. If you have roof racks, remember that your car is now taller, so don’t go into undercover car parks without checking the height of the vehicle or you might get a nasty surprise – not in a MINI, get real. Roof racks can get wet and dusty, so keep valuables inside the car or wrap them in bags that are waterproof and dustproof; no even if you bag the kids, they should not go on the roof racks. An aerodynamic roof pod will protect your gear, prevent load shift and reduce drag thus preserving fuel economy. However, they are rigid and more difficult to pack than soft bags which are not as aerodynamic. 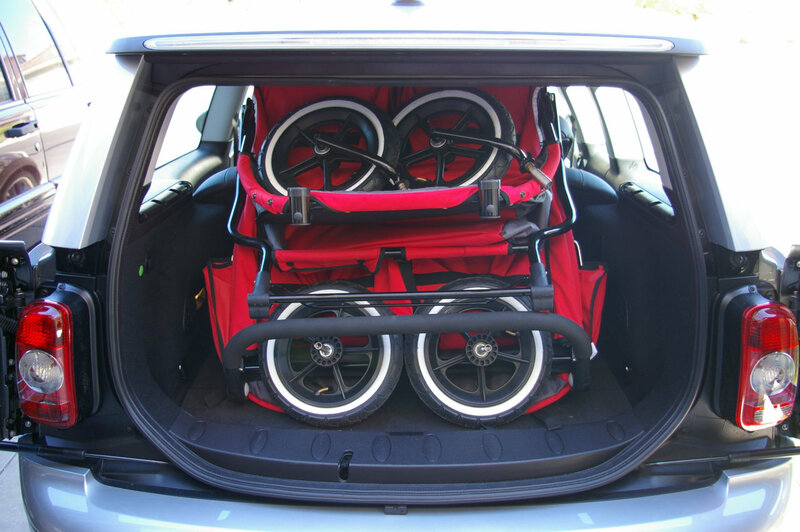 Racks on the back of the car are convenient for carrying bikes, but remember you will need to remove the rear number plate and fix it on the back of the bar. Bike racks will also make it more difficult to access the boot. Finally, don’t forget to pack water for everyone and plug-in those 12V chargers so you don’t run out of mobile phone battery when you need it, or even worse, the kids’ portable computer games consoles run flat. Face it, holiday road trips are ghastly, but it’s the Holiday Season, smile you drive a MINI, think of the poor stiffs driving inferior cars.